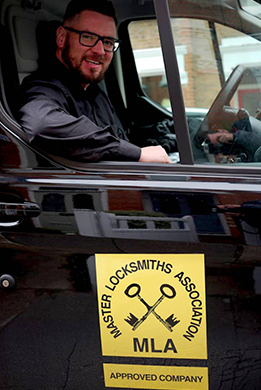 IKS Locksmiths are Master Locksmiths Association Approved emergency locksmiths based in Barnet, North London. If you have been the victim of a commercial or a house burglary and need a locksmith for emergency door repairs fast call us now! Securing a property for the night – temporary or complete lock repair, making a property secure whilst awaiting permanent repairs to doors etc. Physical security measures (locks, grilles, safes and door reinforcement) are the 1st line of defense when it comes to securing your property! Not only will they deter but they will also prevent intruder access, something an alarm alone can’t achieve. 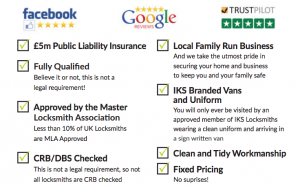 Why Choose IKS for Burglary Repairs in London? We are a company you can trust. 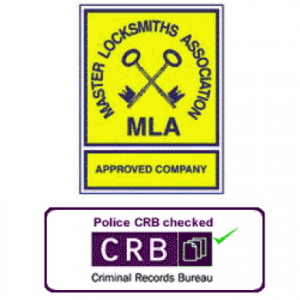 At IKS we are one of a small percentage of locksmiths who are MLA approved and accredited. In addition to this we are specialists in our field of property security and provide full locksmith services for both home security and commercial security. We attend regular MLA meetings to keep ahead of the latest industry developments. Physical security is our area of expertise and we are highly experienced when it comes to burglary repairs. A well stocked van – avoids trips to the supplier so jobs can be done there and then! When you have just been burgled you need to know that the person dealing with your security is someone you can trust. 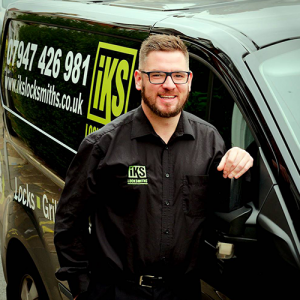 You need to pick a locksmith who ticks all the boxes! If you have had the misfortune of being victim of a business or home burglary in the North London area we would be welcome the opportunity to attend your property to carry out an emergency front door repair or to upgrade your home security to prevent a future house break in. We provide only high quality products and workmanship and we pride ourselves on our customer service. For a locksmith burglary provides work however we much prefer burglary prevention work and always remind our customers that with the right security systems burglary may never need to be an issue. As a mobile locksmith we have low overheads and pass the benefits to our customers in the form of highly competitive prices. We provide exceptional value for money and unbeatable fixed prices for North London Locksmiths. Call us now for an accurate and honest quote.